A great book for back to school activities is Follow the Line to School. . After reading this book, we created a back to school scavenger hunt in our backyard using yarn. We loved this book so much, we wanted to create some other back to school activities to extend the learning. Plus, our back to school scavenger hunt left us with a huge messy wad of yarn. We decided to create a back to school craft! 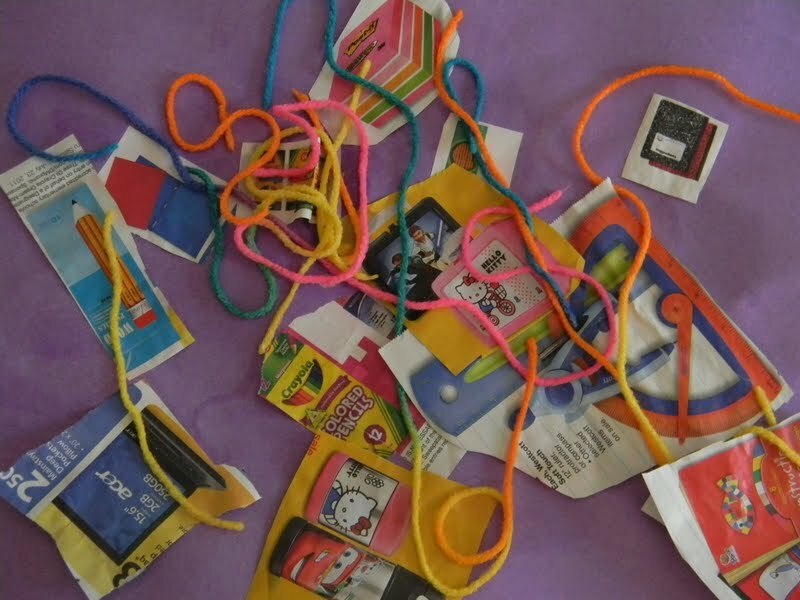 We used our wad of yarn to create a back to school yarn collage. First we cut out pictures of school supplies. There are many, many back to school ads with these pictures available right now! Then we glued the pictures to a piece of construction paper. I snipped the wad of yarn into pieces and we dunked it into a watered down glue mixture. After it was gooey (or gluey? 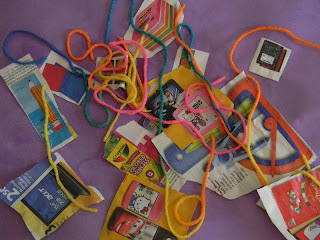 ), we strung our yarn around on top of our school supply collage. We loved the art work in Follow the Line to School and it inspired our line collages. 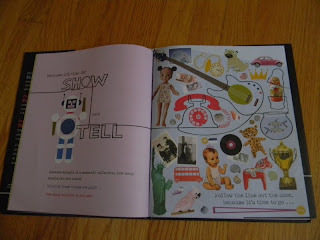 Here's a quick glimpse into the book. You might want to pick it up during your back to school shopping! I also thought this school glue paint at Almost Unschoolers would be a great back to school craft and would go great with the Follow the Line books. Since we picked up Follow the Line through the house at the library, we may try out this project next! I love Laura Ljungkvist's books too! Neat idea to extend the value of the book! This books looks like fun! I'm going to have check it out. It might make a great back-to-school book for our classroom. Why do I envision yarn all over my classroom? I only hope that all of my young learners are having these great literacy experiences this summer! How wonderful ... jus love it !!! This looks like a great book and such a fun project. Glad you enjoyed the "ice cream" playdough.